William J. McDermott Jr. - Howard B. Tate & SonFuneral Home, Inc.
Pittstown- William J. “Willie” McDermott Jr, 78, a longtime resident of Phillips Road, died suddenly, Friday, September 4, 2015 at St. Mary’s Hospital in Troy, with his family by his side. Born in Troy, November 1, 1936, Mr. McDermott was the son of the late William J. and Celia (Smith) McDermott Sr. and for over 54 years the husband of Ann L. (Gorman) McDermott of Pittstown who survives. 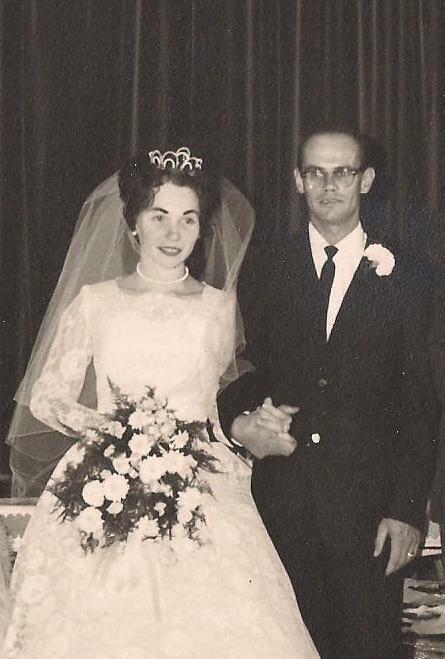 William and Ann were married at the former St. George Roman Catholic Church in Pittstown on October 29, 1961. William attended school in East Greenbush before his family moved to Troy and later Pittstown. In addition to field chores and caring for the animals on the family’s Pittstown farm, Mr. McDermott worked at the former Albany Car Wheel Company in Menands and more recently for over 17 years at the former Adirondack Steel Casting Company in Watervliet. He retired in 1978. Bill was a communicant of the former St. George R.C. Church and enjoyed watching and listening to the NY Yankees in his quiet time. In addition to his wife Ann, he is survived by five sons, William J. (Lisa) McDermott III of Troy, Thomas J. McDermott, Larry P. McDermott and John F. (Vikki) McDermott all of Pittstown and Daniel C. (Brenda) McDermott of Bennington, two sisters and a brother, Madelyn LeBarron of Pittstown, Carolyn Wein of Troy and Larry McDermott of Pittstown, a sister-in-law, Catherine (Andrew) Bachinsky of Stillwater, two grandchildren, Ashley Ann McDermott and Danielle Ann McDermott and many nieces, nephews and cousins. In addition to his parents, he was predeceased by a brother, the late Jack McDermott and a brother-in-law, Thomas H. Gorman. A funeral service will be held on Wednesday, September 9, 2015, at 10:00 A.M. at the Howard B. Tate & Son F.H. Inc., 2237 NY-7 located in Raymertown. Burial will follow in Elmwood Cemetery in Schaghticoke. Relatives and friends may call at the funeral home on Tuesday, from 3:00-7:00 P.M.
Memorial contributions, if desired, may be made to Pittstown Volunteer Emergency Corps. (PVEC), 60 Parker School Road, Johnsonville, NY 12094 in memory of William J. McDermott Jr.